Return to a more glamorous time in this 20's Flapper child costume! Hair got cut, hemlines got shorter, and women started to step out and make their voices heard. 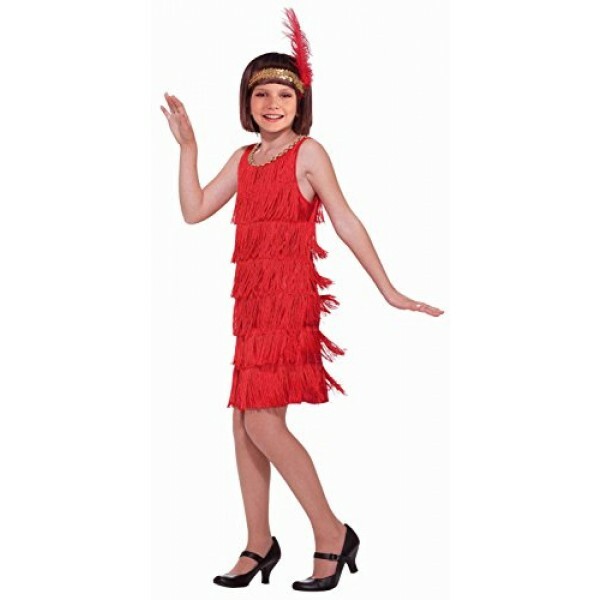 This costume set includes a flapper-style fringed dress and a feathered headband. Please note: tights and shoes not included.